As you all know, I am on a mission to help women find their inner Pin-up girl. No matter what race, shape, or size they may be. It's no secret that when people think about Pin-up girls they think it's only an American thing - But you'd be surprised how many countries celebrate Pin-up culture as well. 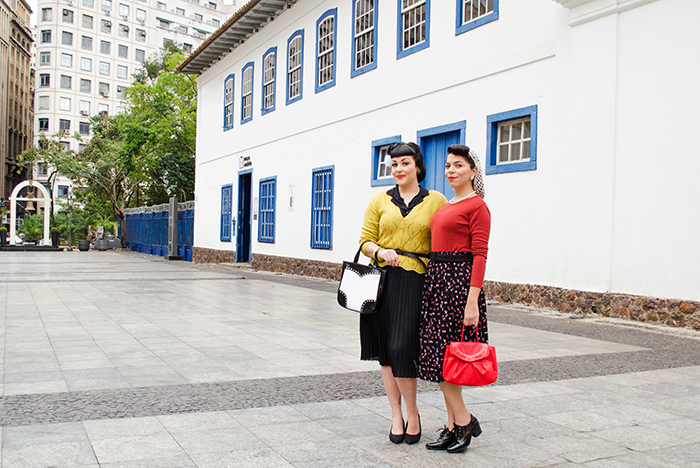 I found a site based in Brazil called Universo Retro and spoke to the owners Mirella Fonzar and Daise Alves. 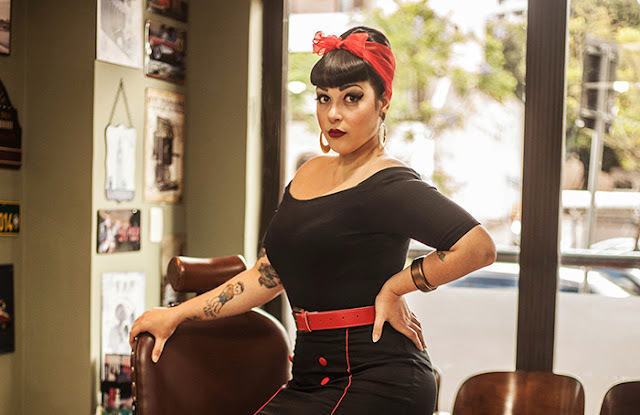 I wanted to get to know what it's like being a Pin-up girl in Brazil to get more insight into this somewhat hidden part of the pin-up community. 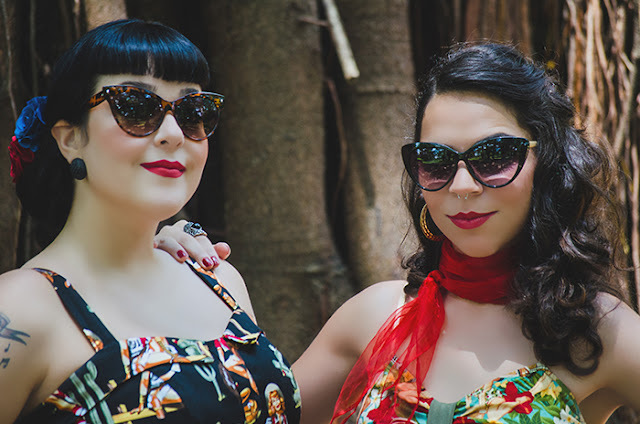 How did you two get into pinup fashion and lifestyle? "I used to like history, alternative style and old music, especially rock and roll. I've always searched for bands, musical genres, vintage fashion style and important events in the world, mainly of the 20th century. All this always seemed fascinating to me, so after that, I've been increasingly dedicated to vintage style. I think it's the same with Mirella. She has always liked music like rock'n roll, jazz and blues and old musical movies too. She's a real music library. The first thing that came was the music, after the style. Today we breathe the pin-up, retro and vintage style. Not just fashion, but also at work, with Universo Retrô website; at home, with a retro decor; parties, that we usually attend and many things around us... It's a real lifestyle." What made you two want to start Universo Retro? "We have worked with the internet and social media in other jobs, but we would like to unite the useful to the pleasant, working with what we like. And the most important thing, we wanted to professionalize the retro subject in Brazil. There were a lot of blogs about pin-ups and retro style a few years ago, but we wanted something bigger and we think we're getting there. This month Universo Retrô is 3 years old." How did your friends and family react to you dressing in pinup fashion? "Not too bad. The people know us, so they understand our style. In general, they think it's beautiful and we get a lot of compliments. But many people say that they think is beautiful, but do not have the courage to wear it. The style is old for us, but new for others. So, if you're a pinup girl in Brazil, you're different, but much admired, because the girls tend to be more elegant and dress well." How has the pinup community treated you two so far? "We're so happy the pin-up style is growing in Brazil. A few years ago the community was very small and now there are many girls in the style in different ways: rockabilly girls, western girls, tiki style... Recently the pin-up horror style is what's grows the most here. Don't be afraid to invest in the vintage style. The pinup style is very versatile, for all bodies and does very well for self-esteem. And research a lot about the subject. The style is so beautiful, but to know their origins is very valuable."